Tharle Nan Maga, Shh...,Om, A,Upendra, H2o, Operation Antha, Swastik... given the records that most of these Upendra directorials have set, the hype around his directorial comeback is natural. The Kannada film is without a title and has a hand symbol which the team has come up with. However most of those who has seen it have named it Super. The film is Rockline Venkatesh's 25th production and going by the posters itself, one can say that he has not spared any expenses. Naturally expectations are high as the film has chart topping songs, south siren Nayanthara as the heroine and Uppi (as the actor-director is popularly known among his fans) as a director. Nothing is known about the plot, though. Since its launch, the team has been claiming that the story is very different. And with Uppi at the helm there is every reason for the industry and audience to believe so. Uppi is known for raw and real cinema and this film hopes to come as a much needed hit that the film industry is looking for. If successful, the film would also boost Uppi's acting career. He has in the recent past not had an eventful outing with his flicks barring Budhivanta. In fact he has had a better success rate as a director. Then again despite having proved himself as a director with a difference, awards have not come his way. 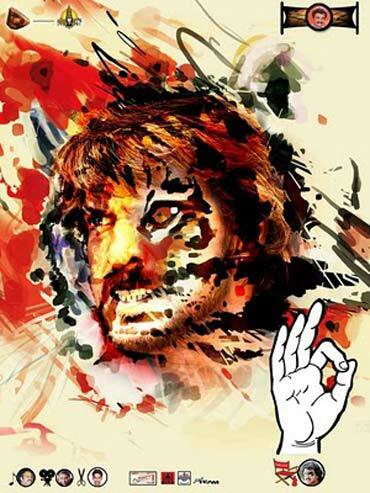 Uppi created a sensation with his first directorial venture, Tharle Nan Maga, a slap stick comedy. The film also gave life to Jaggesh as a lead hero. Then came Shh..,.a horror film that ran to packed houses for over hundred days. Uppi played a cameo in the film too. Om, starring Shivarajkumar and Prema put him on a higher pedestal. The film that has an underworld theme comes with a unique plot, interesting screenplay, amazing soundtrack, with Dr Rajkumar himself crooning a number, and brilliant performances by the lead pair. Uppi used real life goons in the film which added to the film's USP. The film's satellite rights have not been sold even to this day. It ran to packed houses whenever screened in theatres. Om has been remade in Telugu and Bengali. Hindi film Arjun Pandit was loosely based on this film. The production of the Malayalam version however was stopped midway. A in which had Uppi in the lead also created a lot of buzz. Though it received a lot of flak by a certain section for its anti-women portrayal, it was widely watched for its raw appeal. Music again was a selling point. 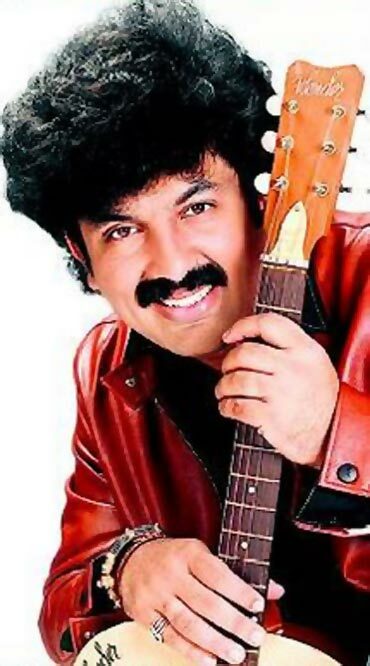 Music director Gurukiran, who got a break in this film recallied those days: "I remember composing the music for the hit song Sumsumne... in just a matter of a few hours. On the same day we had the lyrics ready too. But I took exception when he told me the lyrics of sumsumne...I was like we need to have poetic lyrics. We even had had a huge fight. But then Upendra convinced me and he was right after all. The song went on to become a superhit. "Another such instance was when I said let's go ahead with the lyrics bari olu... in the film Upendra and he was like let's change it. But that time I was right. The lyrics became super popular. Upendra and I have shared a very healthy professional relationship. Our association dates back to 19 years. We even acted together in the Telugu film Omkara and then through A, he helped me get noticed in the Kannada industry. "There were days when we used to just take off to some destination and for days he used to work on his script and me on my compositions. He is a hard worker and a very creative person. I'm sure his latest venture will be a total paisa vasool. Entertainment has been his prime criterion and going by the success of the songs of this film, he is set to make an impact this time too." Uppi's wife and actress Priyanka also says that songs are among her favourites in the film. "I also like Uppi's look in the film; its very funky (The last time the actor went in for a makeover was for his role in Aishwarya). Also I just saw the first copy and think he has executed the script well. I have seen him work real hard on this film. Currently he is in Chennai for the film's audio release. This film has kept him on his toes. His return to direction after such a big gap has added to the expectations. In fact he was joking about how he has grown old and can't handle the work pressures like before. "All the same the perfectionist in him refuses to give up. He has been involved in every single aspect of the film. When some directors are not present even while lead actors dub, Uppi made it a point to be there when even the junior artistes were dubbing. I just hope the people like the film. It is an entertainer with a social message." 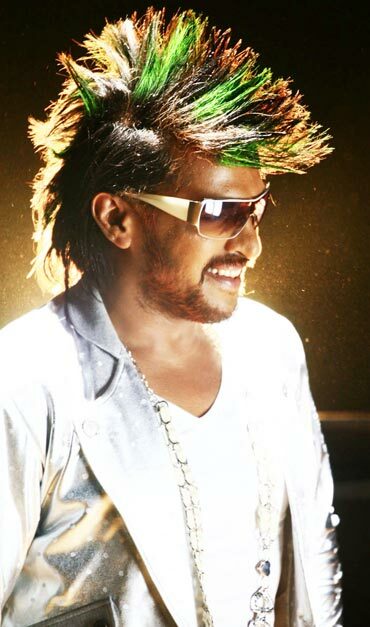 Songs and lyrics apart from the story line are Upendra's trademark. He has to his credit the penning of cult songs like Uppiginta ruchi illa... Danger..., Thaliban alla alla..., doveu doveu doveamma... tattona tattona.. and Chitranna chitranna . He has also sung a few songs. Power packed dialogues are also his USP. Some like Kantha.... and Thalegu bayegu filter illa... that he mouthed are evergreen and some from this film are sure to add on to the list. In fact Uppi started out as a song and dialogue writer. It was actor, director Kashinath who gave him a break. So what is he expecting from Uppi's latest directorial? "He as a person has been very matter of fact and it is the same boldness I see in his films. While I don't know if the movie will come with an entirely new theme, I'm sure it will be said in a very bold and unique manner," says Kashinath. Uppi has even acted in and written films with controversial subjects. For his film H20 for instance, he had the burning Cauvery water conflict between Karnataka and Tamil Nadu as the story line. It is another matter that he kicked up a row for having included several dialogues and songs in Tamil in the Kannada version. His critics lambasted him by saying that he was just trying to please other language viewers (he has quite a fan base given that he has acted in Telugu and Tamil films as well.) The actor was also criticised for having endorsed a liquor brand. His latest film made in Tamil and Telugu as well, releases on December 3.